On September 18th, I performed at the Vets Rock concert event at the Brookhaven Amphitheatre on Long Island, with proceeds benefiting the Vets Rock organization to help veterans in need. 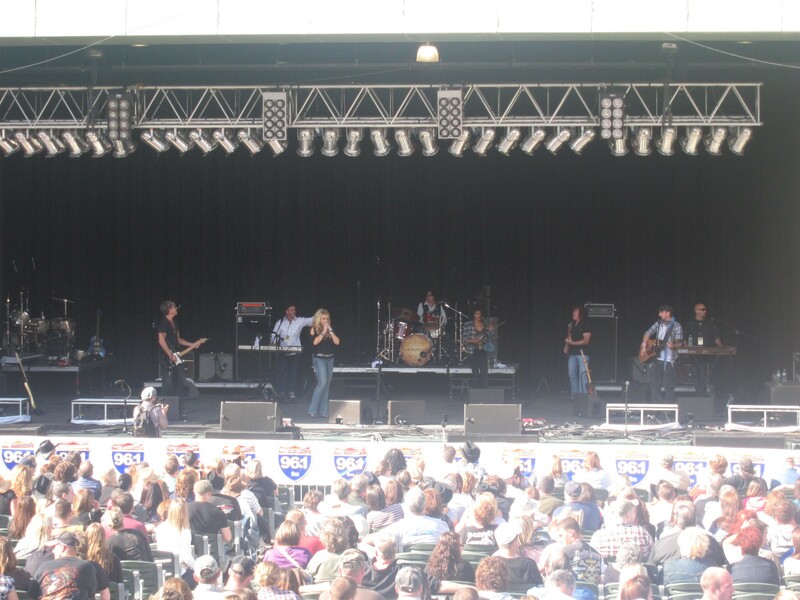 Produced by JVC Radio Broadcasting’s country music station, My Country 96.1 FM, the Vets Rock concert was an all-day outdoor country music festival that boasted a turnout of 7,000 Long Island country music fans! 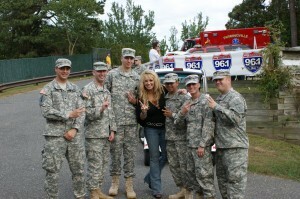 Vets Rock turned out to be even bigger than last July’s Freedom Fest on Long Island. If this large turnout isn’t a sign that country music is taking root on Long Island, I don’t know what is! The show began at 1PM and went until 9PM that night, with platinum selling country artist Eric Church as the concert’s headlining act. 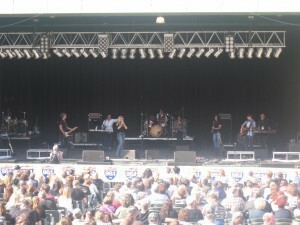 Other popular country artists who performed included: Thompson Square and The Jane Dear Girls. I opened the show with the National Anthem, after being escorted to the stage by a local American Legion Post motorcycle group on a Harley Davidson motorcycle. I returned to the stage once again, later in the show, to do my 35 minute set. I sang 9 songs, both from the Me Time EP and from my upcoming LP, Sunrise Highway. Amazingly, there were audience members singing along with me to “Me Time,” “Sunrise Highway” and “I Don’t Feel Anything.” I have My Country 96.1 to thank for supporting my music and giving me the airplay that has allowed people to become so familiar with my music. I also want to thank the musicians I worked with on stage: Tony Bruno, Bobby Guy, Jules Radino, Simi Stone, Greg Smith, Colin Smith and Mike Dimeo. I am blessed to get to work with such a talented and accomplished group of musicians. After the main part of my set, I read a poem written by a Vietnam Veteran named Walter Mooney. The poem was a poignant piece that expresses what freedom means from the point of view of a veteran who has fought for our freedoms. I then performed a song called “We’re All The Same,” written by songwriter Sheira Brayer who was in the audience. The Broadway Youth Ensemble, a group of young professional Broadway performers, sang backup for me and provided the harmonies during this song. “We’re All The Same” is a great patriotic song with a profound message: if danger came to our world there would be no racism, no prejudice… we would stand together as brothers and sisters and learn to love one another. Country music has a way of bringing people together. I saw fans in the crowd line dancing together, socializing with one another, and the concert was truly a family affair with a lot of children in the crowd. You can feel a warm camaraderie between country music fans that you don’t always see at other types of concerts. After my set I signed autographs for over an hour, signing everything from “Me Time” T-shirts to boots, hats, posters and pictures. Fans of all ages, from little kids to Veterans in their 60s and 70s were lined up for autographs.